Idlib Province And Death Of "Moderate Rebels"
Idlib Province And Death Of “Moderate Rebels” 5 out of 5 based on 11 ratings. 11 user reviews. Since the Russian intervention in Syria in 2015, the Syrian government has consistently maintained the initiative on most major fronts in Syria. In that moment, barring a massive mobilization by Western and Gulf Arab states to support the various militants fighting against the Syrian Arab Army, outright military victory for the militants became impossible. As a result, a unification of rebel forces in order to effectively combat the revitalized Syrian forces has become a top priority for the rebel groups. But the militants’ disorganization and near total failure to consolidate their forces have made an already bad situation for them drastically worse. At the time of the Russian intervention, there were 3 major Salafi Jihadist militant groups who could have possibly seized and maintained power in a hypothetical collapse of Government forces: Jaysh al-Islam, Ahrar al-Sham, and de facto al-Qaeda affiliate al-Nusra Front (now known as Hayyat Tahrir al-Sham). Barely 3 months into the intervention, Jaysh al-Islam was dealt a crippling blow that they would never recover from when their strongman, Zahran Alloush, was killed in an airstrike by pro-Government forces. As Jaysh al-Islam has been in a consistent state of decline since December 2015, this has left Ahrar al-Sham and the al-Nusra Front, both of which are based primarily in Idlib Province, as the largest rebel groups. For a time, Ahrar al-Sham and the al-Nusra Front enjoyed a mutually beneficial partnership, as they would work in a team to subjugate and destroy any militant group in Idlib who could potentially pose a threat to their supremacy, culminating in the founding of the joint operations room, “Jaysh al-Fateh”. But this of course could only go on for a time as the list of potential challengers grew ever smaller. This meant that a final clash between Ahrar al-Sham and the al-Nusra Front would be inevitable, in order to determine who would be the de facto leaders in Idlib. The cooperation between Ahrar al-Sham and al-Nusra Front, which was then known as “Jabhat Fateh al-Sham (JFS)”, came to a sudden and dramatic halt in January this year, in a dispute mostly involving the IS-affiliated terrorist organization Jund al-Aqsa. Jabhat Fateh al-Sham had attempted to mediate the conflict between Jund al-Aqsa and Ahrar al-Sham, by incorporating the former into their ranks, but their proved to be uncontrollable as they nevertheless continued to act independently. This triggered a major set of clashes, where numerous factions from Ahrar al-Sham which were sympathetic to JFS defected, and JFS had merged with numerous other Salafi Jihadist militant groups to form “Hayyat Tahrir al-Sham (HTS)”, most significantly of them being “Harakat Nour al-Din Zenki”, which is most known for releasing a video where some of its members brutally beheaded a 12-year old Palestinian. This set of clashes had caused a great deal of concern for Ahrar al-Sham, who not only had to deal with the loss or defection of a significant portion of its members, but simultaneously needed to find a way to counteract the greatly strengthened forces of HTS. Ahrar al-Sham did the only thing they could do, which was to act as a surrogate for many of the weak and isolated “Free Syrian Army” groups, and attempt to rally enough of the “Moderate” factions to form an effective counter to HTS. Ahrar al-Sham also underwent a series of apparent reforms to make it appear more compatible with “western ideals” in order to form a force which the international community could rally behind. However, even with this consolidation of forces by Ahrar al-Sham, it is highly unlikely that it would have been enough to displace HTS as the most powerful faction in the region. It would only be a matter of time before HTS and Ahrar al-Sham would clash again. This of course did not go unnoticed by HTS, who had no appetite for yet another serious fight against potential challengers. In July 2017, tensions between the two exploded in yet another series of clashes. Although HTS suffered some early defeats by being pushed out of the city of Saraqib and the withdrawal of Nour al-Din Zenki from the coalition, their march on Ahrar al-Sham was barely slowed down. As Ahrar al-Sham had forces all over Idlib which were caught off guard by the HTS attack, they were largely unable to react. In 3 brief days of fighting, HTS seized over 30 cities and towns, including the provincial capital of Idlib, from Ahrar al-Sham and other small militant groups and were able to take over most of the territory bordering Turkey. The two factions subsequently agreed to a ceasefire, which essentially amounted to an unconditional surrender for Ahrar al-Sham. This ceasefire agreement essentially amounts to a total surrender by Ahrar al-Sham to HTS, as they were forced to withdraw from even more cities, and most importantly, surrender the Bab al-Hawa border crossing to HTS. Ahrar al-Sham’s quick and humiliating defeat did not go unnoticed by their own fighters, and there are huge numbers of reports of large scale defections from Ahrar al-Sham to HTS. Additionally, the Bab al-Hawa border crossing served as the primary source of revenue for Ahrar al-Sham, and without it, it is hard to imagine how they could make up for their lost revenue. Most likely, Ahrar al-Sham will suffer further losses and defections due to them being unable to pay the militants’ wages, as well as their self-declared image as a more “moderate” rival to HTS being completely shattered. A further nail on Ahrar al-Sham’s coffin came when the United States announced that they would be cancelling its controversial program to supply “Free Syrian Army” militants with weapons and ammunition, thus depriving Ahrar al-Sham of yet another critical source of supplies. Essentially, this most recent set of clashes have given HTS undisputed supremacy among the various militants fighting against Syrian Government forces. It is unlikely at this point that Ahrar al-Sham will be able to mobilize the forces necessary to launch a counteroffensive, and even if they did, the political damage from their humiliating defeat to HTS has already been done, and they would remain all but doomed to continually decline into irrelevancy. Many Emirs and groups in Ahrar al-Sham have seen the writing on the wall for their organization, and have defected to HTS. Most significantly, the Emir of a critical weapons depot for Ahrar al-Sham chose to defect to HTS, causing a severe internal conflict within the organization. If it weren’t for a last minute deal for the group of defectors to leave the weapons depot to Ahrar al-Sham while they defected to the organization, they would have lost arguably their most important remaining asset. What is left of Ahrar al-Sham’s leadership will have to fight tooth and nail to prevent their crippled organization from completely dissolving. Needless to say, this is huge news which has fundamentally changed the dynamics of the war in Syria. The West will have an extremely hard time justifying further support to an insurgency which has become completely upended by a de facto al-Qaeda affiliate. Due to Turkey’s support of the Muslim Brotherhood-aligned Ahrar al-Sham, it is not unreasonable to think that they will shut off the border entirely and therefore restrict support to the militants to a small trickle of clandestine Gulf state support as well as small private donations. For Turkey, who for years had suffered repeated defeats on the regional stage due to their primary proxy, the Muslim Brotherhood, being dealt with setback after setback, has once again suffered yet another defeat. As the Muslim Brotherhood-aligned Ahrar al-Sham organization is on the way to irrelevancy, this essentially leaves Turkey solely with its de facto military occupation zone in northern Aleppo province. This could however present Turkey with a new opportunity, as they finally have an excuse cut their losses with Syria and solely restrict their influence to said military occupation zone. One of the largest issues holding back Russian-Turkish relations has been due to the latter’s support of militants fighting against the Syrian Arab Army, who is under protection of the former. Additionally, due to Turkey firmly backing Qatar economically and diplomatically in the crisis involving the latter and other Gulf States, this has made Turkish-Gulf cooperation all but impossible. Lastly, due to the cessation of talks for Turkey to join the European Union and the collapse of relations between those two, this leaves Turkey with very little choice but to move closer to Russia and Iran. A signal that Turkey could be moving closer to Russia is the long-awaited confirmation by Turkish President Recep Tayyip Erdogan that Turkey will be going forward with an agreement with Russia to jointly produce several batteries of S-400 surface-to-air missile systems. Should Turkey instead decide to continue their largely unsuccessful Muslim Brotherhood-centric foreign policy would be for Turkey to launch a “Euphrates Shield” style operation into Idlib to rescue Ahrar al-Sham and create yet another military occupation zone protecting them and the various “Free Syrian Army” militant groups. This is once again highly unlikely, as Turkey remains concerned primarily with its domestic political situation, and due to Turkey’s priorities in Syria changing from anti-Government to anti-Kurdish, there is little appetite for Turkey to undertake such a costly operation which would inevitably result in the death of thousands of Turkish soldiers. The political costs from such a move would have been enormous, and would threaten the already fragile situation in Turkey. The confirmation of Turkey’s unprecedented S-400 deal with Russia is a strong signal that Turkey could be undergoing a large reevaluation of its priorities in Syria. For the Syrian Arab Army, this is a welcome, albeit premature change in developments. It is likely that for them, rather than launching an all-out assault on Idlib which would bog down their units for months, if not years, they would have been content simply to let the militants attack each other until they are too weak to hold territory. The Syrian Army has been utilizing this strategy to great success in Eastern Ghouta, where they have simply left “Jaysh al-Islam” and “Al-Rahman Corps” to move their forces to combat one another, and the Syrian Army simply attacks their greatly weakened flanks to seize territory gradually from them. This will soon be no longer possible in Idlib, as HTS now has the strength to simultaneously combat both the Government as well as whatever disorganized opposition to their rule remains, and HTS will likely attempt to restart operations against the Government in the coming months. This will almost certainly represent a short term threat to the Syrian Armed Forces, but will make their lives easier in the long run when they decide to launch an operation to liberate Idlib province. Although HTS is stronger than ever, due to both their previous heavy losses in failed attacks against the Government, and the capability of the elite units in the Syrian Army and Russian Air Force, they will likely see temporary renewed success. However, it remains unlikely that they will still be able to pose a credible threat even to nearby Government strongholds such as Hama, Aleppo, and Latakia. That being said however, due to the Government currently being heavily engaged in a race against the “Syrian Democratic Forces” to seize territory from the rapidly collapsing forces of Daesh, it is extremely important for the Government to keep track of movements on Idlib. A surprise offensive from HTS at this time is hardly needed and would distract the Government from their critical land grab of territories west and south of the Euphrates River. For Russia, this is some very welcome news, as they can officially give up any efforts towards overseeing a diplomatic resolution in Idlib, due to HTS and their categorical rejection of negotiations, as well as their exclusion from peace talks. Idlib will likely be treated by Russia in the same way that they treat Daesh-held areas, where they are able to bomb freely without endless condemnation from the West. This also puts Russia in a position where they can plan operations with the Syrian Arab Army to incrementally liberate portions of Idlib while not having to worry about appeasing the West and Turkey, who now have no way of giving any support to the Idlib militants without directly aiding al-Qaeda. However, this could throw a wrench into Russia’s goal of creating a final peace agreement between the Government and the SDF, as the liberation of Idlib would free Government troops from by far its largest frontline and could potentially embolden Government forces to begin operations against the SDF. Unfortunately, the Syrian Government remains resilient against Russia’s requests that the Government recognizes the SDF as a federal entity, and a Government takeover of Idlib would do little to entice them to settle with a final peace deal. If Russia remains unable to convince the Syrian Government to accept Kurdish autonomy, they might be forced to pick a side should tensions between the Government and the SDF blow up, which in that case, Russia would almost certainly side with the Government. In the United States, it has been increasingly questioned as to why the US supports the militant groups, and these clashes might have provided a final answer. With the US’s announcement of the end of its program to support the militants, this effectively restricts the US to supporting the Syrian Democratic Forces. The US has made good on its word by shipping in large amounts of heavy weaponry to the SDF. This poses yet another challenge to Russia’s mediating of a peace agreement, which would rely on being on good terms with both the Government and the SDF. The impacts of greater US cooperation with the SDF are already being felt, and this poses a large threat to a peace agreement due to severe opposition from the US to Russia resolving the crisis. Like Turkey, the US has also had to cope with severe losses in influence in the Levant to Russia, and the US will most likely do all it can to bring the SDF into its sphere of influence as much as possible. What would otherwise appear to be just another set of clashes between militant groups in Syria, will end up changing many strategies and assumptions held by both local and international actors in the region. Syria’s allies will benefit from this due to the likely cessation of support to a large contingent of militant forces by the West, as well as Turkey being increasingly more pulled towards Russia’s and Iran’s sphere of influence. The complete and utter death of the militants posing any kind of credible alternative to the Syrian Government will bolster the latter’s standing greatly, and would probably aid in rebuilding of ties between Syria and the West. And as the opposition now have al-Qaeda as its undisputed leader, they are all but doomed to die a slow and humiliating death as the Government slowly reasserts its authority nationwide with little criticism. Actually i found new moderate rebels. 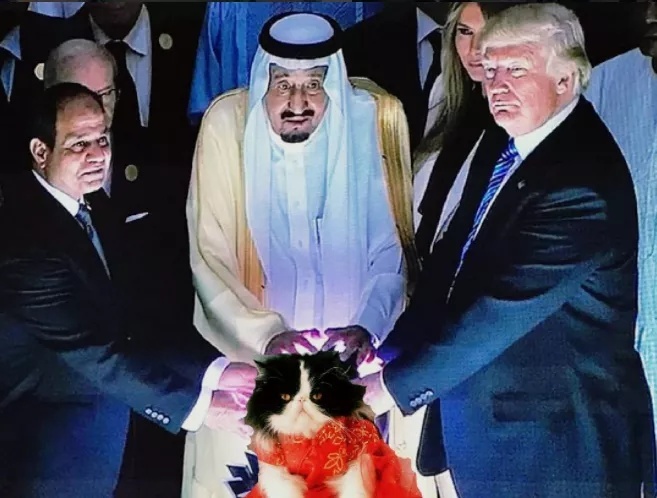 https://uploads.disquscdn.com/images/e81bd293b5eb443e3814690a0df2008172384346a4d89d8fae74f25d82083c22.jpg their just chilling. 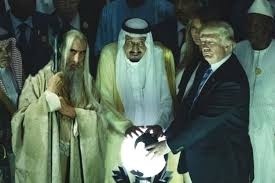 I thought it was the evil orb of Sauron in land of Morder! Essentially we are witnessing the 21st century re-run if Medieval politics in Europe where ‘Kings’ utilised warlords who demanded fealty from the population of their fiefdom . These warlords were encouraged to support the king for personal gain. Many warlords changed allegiances of course to ‘stronger’ kings for a bigger slice of the plunder. It reminds me of the 30 year war in Germany 17th century, that devastated large parts of the country and cost million their lives through war, plundering, famine and diseases. Yes, England also had similar periods of violent internecine squabbles . The Wars of the Roses and the the dispute between Stephen and Matilda who were Royal siblings that went on for many years. We had many more such futile wars. The civilians always suffer terribly. A credible effort of reporting. I think the reporter underestimates the HTS capabilities, however, I hope he is right. I also think the urge for Assad to come to an accomodation with kurds is both present and growing. As long as the US has the back of the SDF, there will be no assault on Northern Syria, maybe with an exception for Afrin. Ultimately this will depend on the actions of the Kurds and if they are seen to be acting in good faith, they should have stayed in league with Assad to begin with. Why should they have sticked with an opressor of kurds? The reason they did not join FSA was that is was just as anti kurd as Assad. Well written and informative, good news as well. There is no official confirmation from the Russian Kremlin side of the S 400 deal. All there is , is some droplets of boasting from Erdogan ‘s side , for publicity’s sake , considering his fragile position in his own country. The Kremlin denies any deal was reached. As it is known , Turkey asked the Russians for a ”loan” in connection with the agreement, and transfer of know-how . I think the Russians hold out this as a carrot, expecting the implementation of other deals first , e.g. the Turkish Pipeline under the Black Sea.